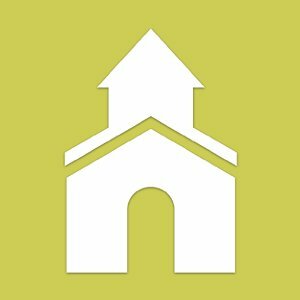 It’s time to update the NWPC directory with the names and faces of all members of our church family! Once again, Cassie Stone is our photographer of choice as she did such beautiful work for us three years ago. Please take a look at your calendars and make plans to sign up to get your photo taken on one of these days! You may sign up before or after Sunday worship or by calling the church office at 667-1288. Be sure to look for details or changes with this schedule in the Youth Corner Article in your weekly mail-out or on the church website (www.nwpres.org). The North Wilkesboro Presbyterian Church sent a delegation of 28 youth and adults to Cosby, TN for a mission project partnering with the Sunset Gap Community Center during the week of June 27th-July 3rd. Cosby, TN is a small rural community near Newport, TN. The Sunset Gap Community Center is a Christian-based organization designed to unite people of all faiths and provides programs that contribute to the physical, social, economic and spiritual growth of the people of Cocke and Sevier Counties. The county lines of these two counties split the Sunset Gap Community Center in half with half the building in Cocke County and the other half in Sevier County. The North Wilkesboro Presbyterian Church Mission Team went to the Sunset Gap Community with two goals in mind. Goal number one was to provide a Vacation Bible School experience for the children of that area. The second goal was to provide labor for construction projects. The Bible School Team led, on average, 20 children through a Bible School experience. The ages of the children ranged from 2 years old to 13 years old. The theme of the Bible School was based on the scripture passage Luke 5:10. The Bible School activities included skits, music, energizers, arts and crafts, Bible Stories, recreation, and snacks. The mission team also had a group that spent their day building decks. The team built two decks on two different houses. One deck at a new construction site and a second deck at an existing home. The mission team from North Wilkesboro was not the only churches represented at Sunset Gap. There were also mission teams from Michigan, South Carolina, and Iowa that the North Wilkesboro Group met and worked with. David Smithey, Interim Director of Christian Education at North Wilkesboro Presbyterian Church commented, â€œI was so proud of our team with how hard they worked and with the energy with which they served. It was absolutely impressive. They represented our church very wellâ€. Members of the North Wilkesboro Team included: Kris Carlton, Breanna Cheap, Rebecca Czerkawski, Evan Day, Julianna Franklin, Owen Goetz, Paula Hernandez, Corey Higgins, Meredith Hubbard, Miles Hubbard, Eric Miller, Daveâ€™l Monroe, Rex Reynolds, Parks Smithey, Summer Wingler, Hannah Trawick, Olivia VanBuskirk, Cole Wright, Penny Musson, Cathy Hubbard, Traci Frazier, Gerald Lankford, Drew Czerkawski, Mike Franklin, Sarah Shoemaker, Josh Welborn, Sid Crunk, and David Smithey. The first Elderberry event is a service project scheduled for Thursday September 30th from 12:00 pm-3:00 pm. The event will include a meal plus an opportunity to serve by completing the Hygiene Kits for Haiti that our church and the youth of North Wilkesboro Baptist and North Wilkesboro Methodist began during the week of Vacation Bible School. The youth, during Bible school week, completed 160 hygiene kits but had around 200 kits stored as incomplete. Through the Mission and Outreach Committee our church accepted the challenge to participate in this project which was discovered on the PCUSA website. The Elderberries first meeting of this fall will be to finish the hygiene kits and prepare them for shipment to Haiti. Currently we anticipate sending close to 400 Hygiene Kits from the three churches and we need lots of hands to help with these desperately needed kits. Contact Smitty if you would like to help and mark your calendars for Thursday, September 30th!!!! “Backyard Gardens and Beyond: Responding to God’s Gift of Creation” is the theme of the Presbyterian Women’s 2010 Fall Retreat. The retreat is scheduled for Saturday, October 16th from 10:00am – 3:00pm. We will begin our special day with worship in the church sanctuary. Dr. Ben Trawick is our featured speaker at this year’s event. Registration will begin soon, so watch for more information in the Sunday bulletins and September newsletter. in celebration and thanksgiving for God’s gracious gifts. Below is a “sneak peek” of the retreat’s art activity that will be a part of our time together. Everyone will have the opportunity to create personal prayer journals from old cereal boxes and other recyclable materials. The finished product will be a small “book” of decorated pages each participant can take home to journal on and add more pages as she wishes. Chair Auction is a Huge Success! News and Announcements Comments Off on Chair Auction is a Huge Success! Carolina Finley with her chair: "All God's Critters Have a Place in the Choir"
A good time was had by all at the Preschool Festival of Chairs! With the help of wonderfully creative artists from the preschool and the congregation, we sold eighteen decorated chairs and raised over $2000 for the purchase of preschool supplies! Thank you for your continued support of the food collections for Samaritanâ€™s Kitchen. As of October 13th, we have taken 773 pounds of food to the Kitchen. This food is critical to the pantry operations, which continues to see more people in need every day. The â€œFeed My Sheep sugar and flour challengeâ€ continues. During Pastor Trawickâ€™s sermon on October 4th, he placed one bag of sugar and one bag of flour on the platform in the Sanctuary and invited the congregation to add to those two bags in a dramatic fashion. As previously reported, our goal is to provide 1500 two-pound bags of sugar and 1500 two-pound bags of flour to Samaritanâ€™s Kitchen for their Project JOY Christmas boxes. It does seem like a daunting task, but we can do it! You will see flyers in the breezeway and in Sunday School classes that explain how that can happen. On Sunday, October 11th, the piles of sugar and flour had grown considerably from those two bags Pastor set down. The count on October 11th was 287 bags of sugar and 395 bags of flour. Pray that these numbers will continue to rise and pick-up a bag or two whenever you visit the grocery store. On Sunday, October 25th, NWPC will host the Western Neighborhood of Salem Presbytery for a program of entertainment, education, and fellowship in our Fellowship Hall from 5 to 7 P.M. This will be the third â€œSinging For Their Supperâ€ event sponsored by the Presbytery and promises to be fun and informative for all. Volunteers are needed to help prepare a simple meal served that evening. If you can help, please contact Dave or Phyllis Moulton at 838-7663.